We've reached the day of Her Majesty's Sapphire Jubilee and we've reached the end of our countdown of her top five sapphire jewels! You'll never guess what lands on top. I know, it's a shocker. 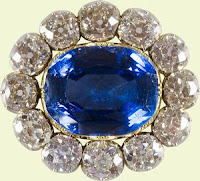 Really, there's only one it could be: Prince Albert's Sapphire Brooch. This brooch has everything! It's got the history: Prince Albert gave it to Queen Victoria the day before their wedding, and she wore it on the big day. She made it an heirloom of the crown and it has passed down through further generations of queens. It's got the size: the central sapphire is large and so much the star of the show that it can even make you forget just how large the twelve surrounding diamonds are. And it's got the usage: this is probably the most significant piece of jewelry worn on a regular basis by The Queen. 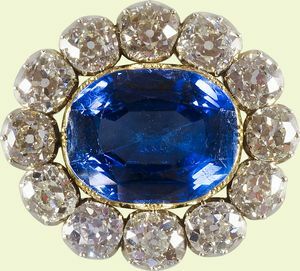 There are larger jewels, there are others that date back to Queen Victoria and even a few that go back even further; none, however, are worn as often as Albert's Sapphire and most are not this well known. 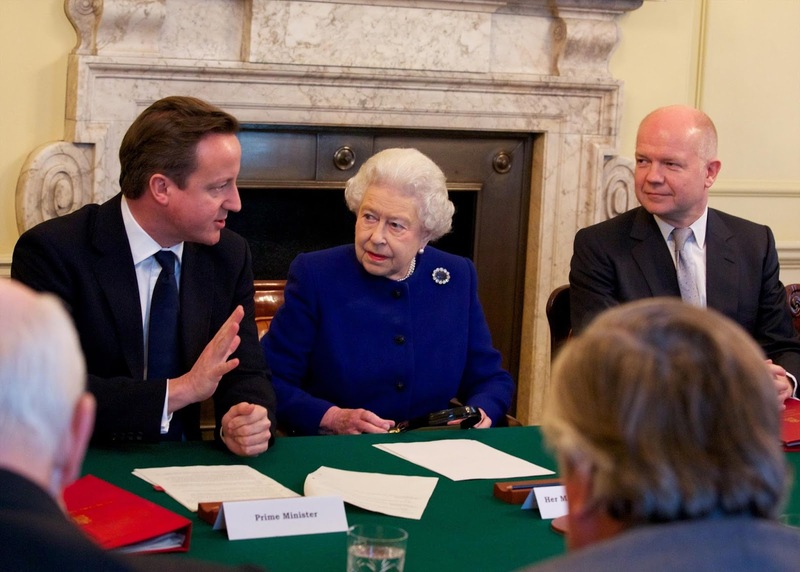 What else could top a list of Her Majesty's top sapphire jewels?